Udta Punjab’s budget was around 13.96 crores and the director did play a good game by taking a Punjabi star, Diljit Dosanjh into the cast of the film as that name had driven many Punjabi audience to watch the film. Moreover, the film is focused on the dark drug world of Punjab, Diljit Dosanjh’s debut part was important. He did excel with his role. Shahid Kapoor was amazing so thus Alia Bhatt too. These two were stunning with their looks so does the comedy timing. 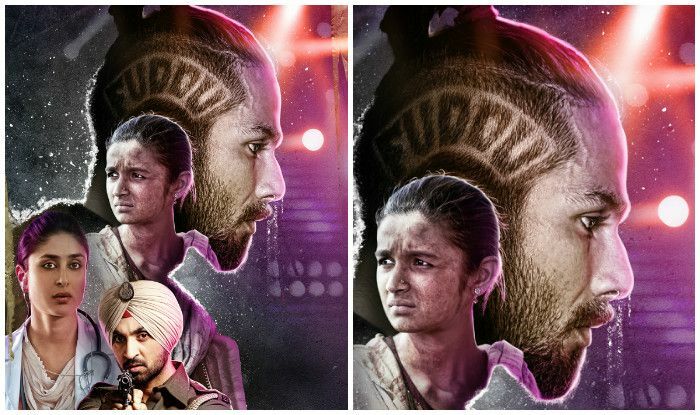 On the whole, the cast played a huge role in Udta Punjab’s BO Contribution. Since the movie came out even before the release date without any cuts, movie lovers did show a lot of interest in watching the pirated one as it had no cuts when compared to the one in theaters. As a result, the occupancy was reduced when compared to that expected. The film would have become the highest grosser of 2016, but ended up being the fifth highest grosser of 2016. The makers were disappointed with the leak. See how the flick performed at the boxoffice. On day 1, it did a business of 10.05 crores. On day 2, though there is Conjuring 2, many preferred the film. This got a spike in the movie’s income report. On Saturday, the movie managed to touch 12 crore mark. So by the end of 2 days, Udta Punjab managed to do a business of 22 crores*. 3rd day 13.5 crore expected. From 13.6 to 60 crore.Super duper Hit.